Love has ten thousand names and a million different faces. History will surely agree that America’s most destructive contribution to twentieth century living has been that damaged product called plastic romance. It twists and savages us. After a lifetime of lies about what love is supposed to be, are you finally angry and depressed enough to be part of a “recall” on that shabby, mildewed merchandise? 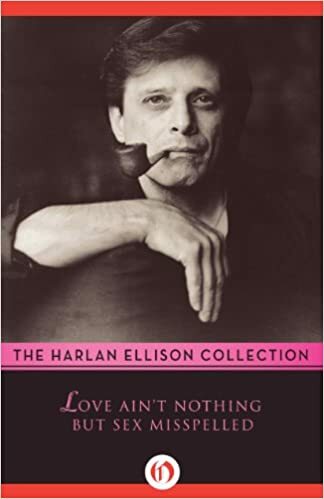 If so, join the remarkable Harlan Ellison as he dissects the soul and body of love in our time. In sixteen scalpel‑sharp stories that range from the legalized whorehouses of Nevada to the steaming lynch towns of Georgia, from the abortion mills of Tijuana to the soundstages of Hollywood, the author rips the Saran‑Wrap off love and hate and sin and twittering passion to disclose the raw meat beneath. Here are sixteen poisoned arrows from fantasy’s most improbable Cupid, in which he presents a world of hearts and flowers guaranteed to revise your thinking about where love is found and how it looks.